Toronto, Ontario – April 8, 2019 – Compass Gold Corp. (TSX-V: CVB) (“Compass” or the “Company”) announced today that it intends to issue, on a non-brokered private placement basis, up to 6,700,000 common shares of the Company, at a price of $0.30 per share, for aggregate gross proceeds of up to $2.0 million (the “Offering”). The proceeds of the Offering will be used to further advance the Company’s ongoing exploration efforts at its Sikasso Property in Southern Mali, as well as for general corporate purposes. 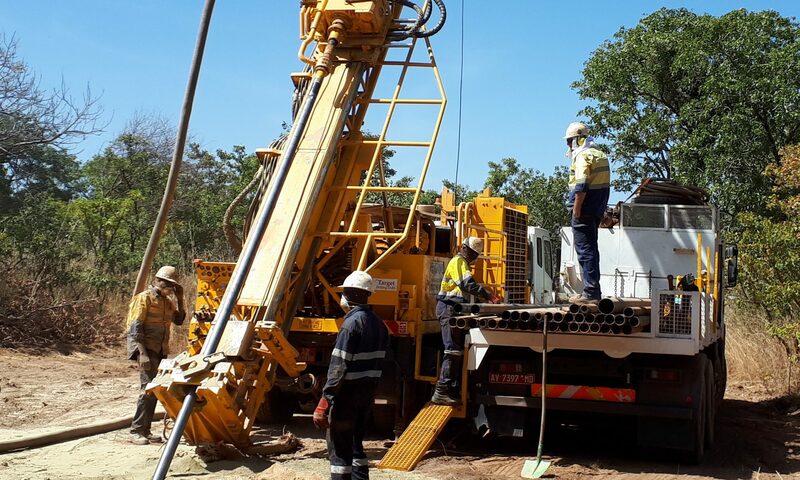 On April 4, 2019, the Company initiated its latest exploration program involving a minimum of 1,000 metres of drilling at the Sikasso Property. Specifically, this work will be focused on testing: the Farabakoura and Kabangué trends to better determine the full extent of mineralization along these target areas; several promising IP targets at Ouassada/Faraba-Coura; artisanal gold workings at Sankarani; and, shallow soil gold anomalies on the four permits that comprise the Yanfolila South block. This work is expected to be completed by the end of this month. Certain insiders of the Company may participate in the Offering and the Company may pay finder’s fees on a portion of the Offering, subject to compliance with the policies of the TSX Venture Exchange and applicable securities legislation. Beacon Securities Limited and INFOR Financial Inc. have acted as advisors to the Company regarding this financing. All the shares issuable pursuant to the Offering will be subject to a hold period expiring four months and one day after the date of issuance. The securities offered pursuant to the Offering have not been registered under the United States Securities Act of 1933, as amended, and may not be offered or sold in the United States or to, or for the account or benefit of, U.S. persons absent registration or an applicable exemption from registration requirements. This release does not constitute an offer for sale of securities in the United States. It is anticipated that the closing of the Offering will occur on or prior to April 24, 2019. Closing of this Offering is subject to the receipt of all necessary regulatory approvals, including the approval of the TSX Venture Exchange. Participation by insiders in the Offering will be exempt from the valuation and minority shareholder approval requirements of Multilateral Instrument 61-101 – Protection of Minority Security Holders in Special Transactions (“MI 61-101”) by virtue of the exemptions contained in Sections 5.5(b) and 5.7(1)(a) of MI 61-101.